Genuine Scorpion Bracelet Clear Lucite Pendant | BUDK.com - Knives & Swords At The Lowest Prices! 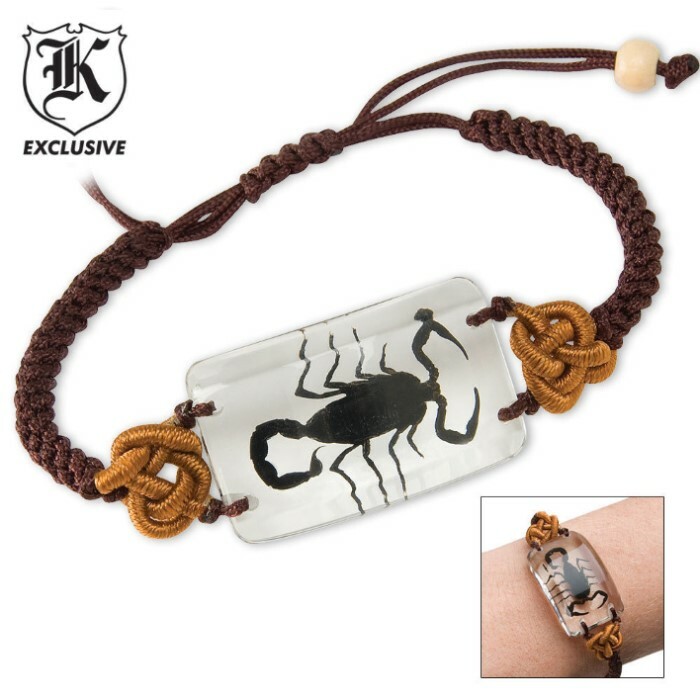 This Black Scorpion bracelet features a genuine black scorpion sealed in clear Lucite on a brown woven nylon cord. The pendant measures 1 3/8" and the length of the band is extendable to 4 1/2". This suits the hands of both females and males of various ages. 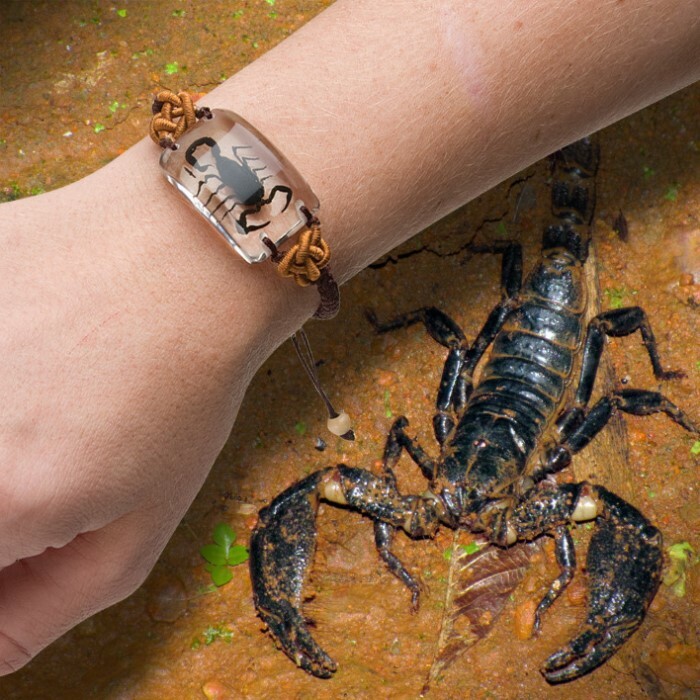 It's a great way to keep a real scorpion on your wrist! It doesn’t look exactly like the picture but close enough. The one I got had brown nylon instead of black, still good quality a definitely a bracelet you’ll want to wear all the time! I bought the necklace and the bracelet and I've worn them both a lot. Most people see the bracelet first, I get everything from people jumping back clutching their chest to staring all starry eyed. Either way I like all reactions and they all start a conversation. I just wish the bottom corners were a little more rounded but other than that 5 stars and 2 thumbs up. My 20 something grand daughter loved this bracelet and necklace. Being from a cold climate its not like we see alot of scorpions so this really surprised her especially since none of her friends have one. This scorpion bracelet is insane, although the scorpion is small its still awesome. I may just buy some more for friends and family. Definitely a must buy even if your a scorpio like I am. What more can you ask of a scorpion bracelet? Nice high quality wearable conversation starter. It is exactly as described. It was a little bit smaller than expected, but still a good size. My kids love them!